Friday lunch time means the work week is almost complete and the weekend nears. It’s when the mood begins to shift – and so it’s a great time to try something different for lunch. 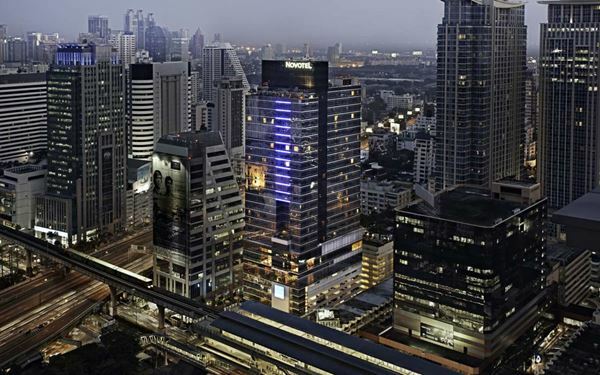 Dee Lounge and Beer Garden at Novotel Bangkok Ploenchit Sukhumvit catches the culinary mood with Get Curried Away – Indian Curry Lunch. 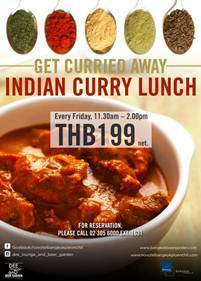 From now to the end of December, enjoy flavourful Indian specialities every Friday for only THB 199 net per person. Menu highlights include savoury beef rendang; succulent lamb rogan josh and vindalo; delicious chicken and prawn curries; and vegetarian choices including dal dishes, aloo capsicum and others.